"A fascinating novel set in coastal Maine, tows a perfect line between our reality and a parallel world that may or may not exist, keeps us guessing and stuns us with shockers. Highly recommended!" The Columbia Review. 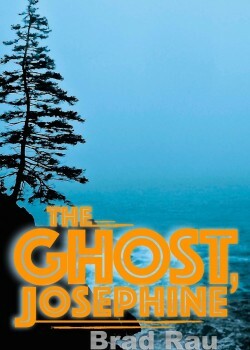 “The Ghost, Josephine” by Brad Rau is a unique novel that transcends genres and delivers a suspenseful, realistic and memorable story set in coastal Maine. The novel tells the story of Barry Cook, a temperamental young man with much to be temperamental about. The risk of losing his ancestral home and possibly his freedom, in addition to other real and imagined pressures, force him to take on a client of sorts. Davis Nevers, the opposite of Barry (successful and prideful), wishes to pacify the tormenting spirit of his estranged daughter, Josephine. Barry, rumor has it, can accomplish such paranormal tasks. Mixing in other colorful characters, ghosts and the phenomenon of real or faux exorcism, as well as a good old competition between ‘experts’ in ghost communications, the story takes twists and turns that are seldom foreseen by the readers. Tensions rise, suspense builds up, and surprises await the reader at every turn of a page. The central question of what is real and what isn’t continues to haunt the reader with delicious anticipation—in fact, Barry himself may not be certain whether he has the paranormal powers that had repeatedly complicated his life, or not. The setting in coastal Maine, especially during the off-season, as far as weather and tourists go, serves as perfect backdrop for this story, where fog and chill come and go in tandem with harsh reality and pending disaster. The author manages to bring coastal Maine to life in a way that not only complements the story, but adds a whole other dimension to the characters and their impending doom—or salvation. In summary, “The Ghost, Josephine” by Brad Rau is a fascinating novel that tows a perfect line between our reality and a parallel world that may or may not exist. The characters are three-dimensional and memorable, the storyline keeps us guessing and stuns us with shockers, and the narrative carries through the full-bodied subplots of growing up, coming to terms with past sins, and confronting the hard choices that adult life occasionally drops in our paths. An excellent novel that shows great promise for the author’s future work. Highly recommended!